Login to your WordPress site and create a new page. Go to Dashboard > Pages > Add New > name it blog page or something similar. And hit the publish button. Now go to customizer / options page. 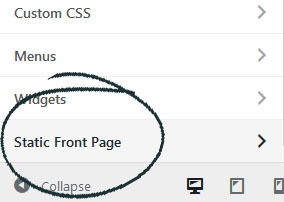 Dashboard > Appearance > Customize and select the "static front page", it should be at the bottom of page (left side). 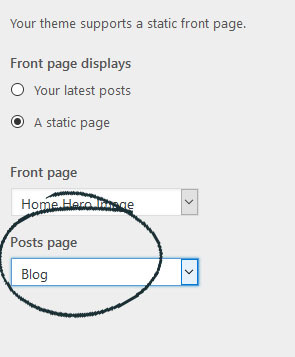 Next, select the page you just created under posts page, in our case it was "Blog" page.